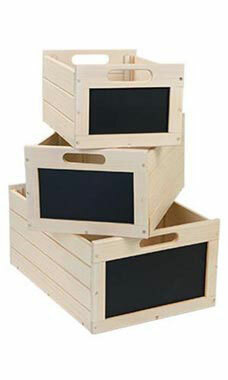 The Nesting Antique White Wooden Chalkboard Crates are perfect for organizing your store! The set of three nesting crates can be easily tucked together or provide a cohesive look for displaying your merchandise. Set them on a shelf or near checkout to increase impulse purchases. Use the chalkboard to call out sales or prices.